Tonina performing at the Sound of St. Louis Showcase at the Grandel in September. Here at the RFT, we've called her a "rising star" with a "once-in-a-lifetime voice," and dubbed her "one to watch forever." Now it seems that the national press has gotten the memo as well: NPR just named Tonina one of the 40 best new artists of 2018. The accolade comes via Slingshot, the public radio network's artist incubator, which is hosting a voter-driven competition to pick the single best new artist of 2018. Tonina finds herself among some seriously talented competitors — Portland artists Black Belt Eagle Scout and Haley Heynderickx, U.K. singer-songwriter Jade Bird, L.A.'s Mt. Joy, Nashville's Ruston Kelly and Seattle's Thunderpussy, just to name a few. Tonina (Saputo) continues the legacy of her uncle, musician Tony Saputo, who died when a plane chartered for Reba McEntire crashed in 1991. Tonina's parents met at the crash site and she was named for the uncle she never knew. 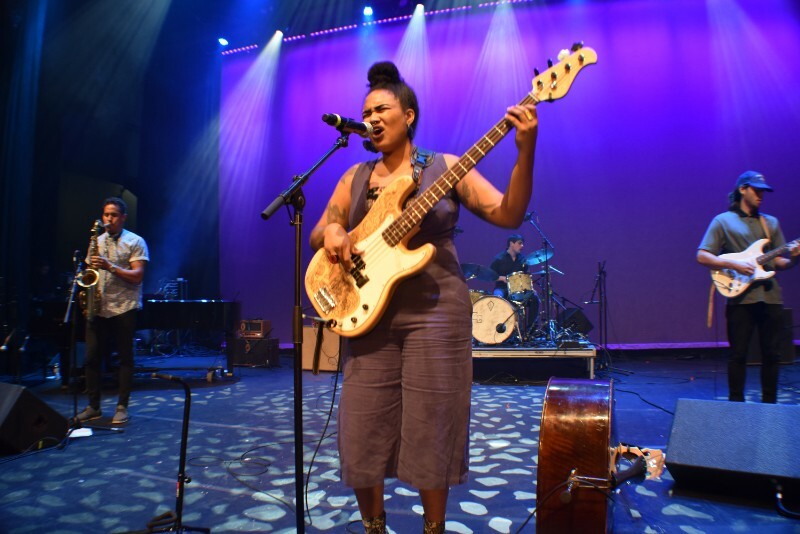 Tonina's soulful voice glides with assertion around each note she sings atop her upright bass phrases. 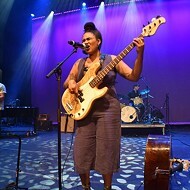 A graduate of the prestigious Berklee College of Music and a regular performer at the Dark Room and the National Blues Museum, Tonina has lent her talents to fellow St. Louis standouts Pokey LaFarge and Looprat, and even toured Europe to support her April album Black Angel, released on Grammy-winning songwriter and producer Javier Límon’s label. She was also one of the artists slated to perform at LouFest this year, and delivered a stirring set at the Sound of St. Louis Showcase that was booked after its cancellation. Tonina is able to work within a wide range of genres, with a soulful R&B voice combined with folk and jazz sensibilities and more than a dash of Latin flavor (Black Angel, in fact, is a Spanish-language release). In short, if you've ever seen her play, you know she deserves every accolade thrown at her. And so, assuming you didn't get your fill of casting your ballot yesterday, perhaps you could consider tossing a vote toward a hometown treasure well on her way to being a full-on star. It's one vote you surely won't regret.